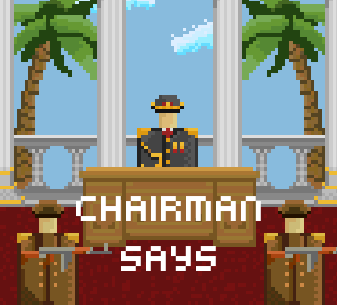 Chairman Says is a mobile game where players must clap, cheer, boo, and silently admire the noble chairman of a faraway dictatorship. The game takes microphone input. Based on playtesting, it’s a perfect way to infuriate roommates and neighbors. 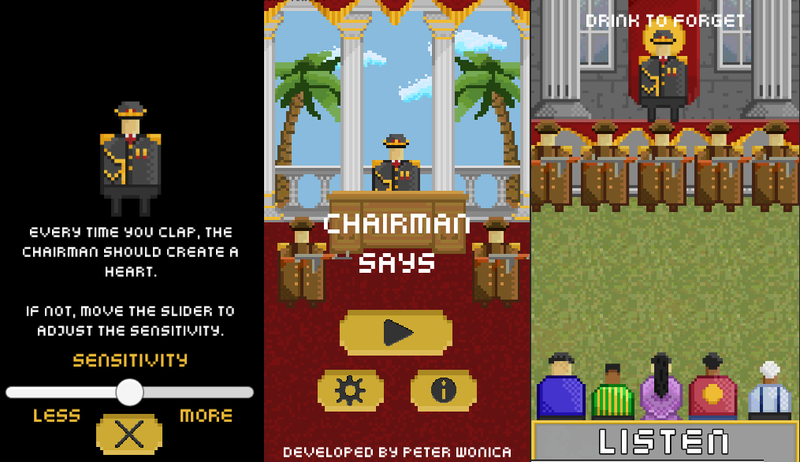 Expecting to release on Google Play by late March.